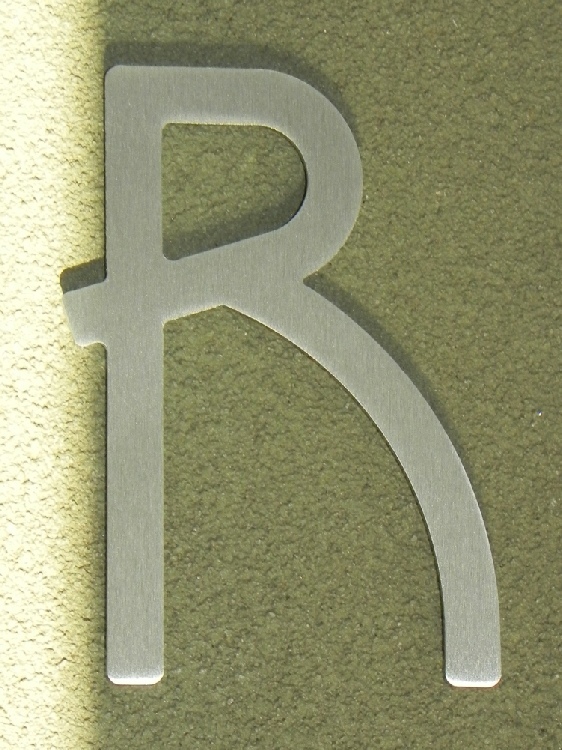 All characters in the houseArt font are available in 3”, 5”, and 8” (height) sizes, with 3/8” welded standoffs (spacers) for three-dimensional mounting, or industrial adhesive for a flat installation. 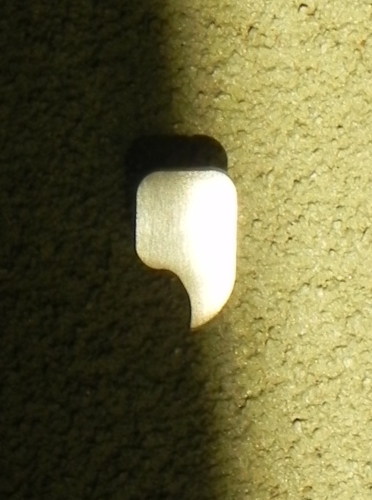 Punctuation and special characters are dimensioned proportionately for each size. 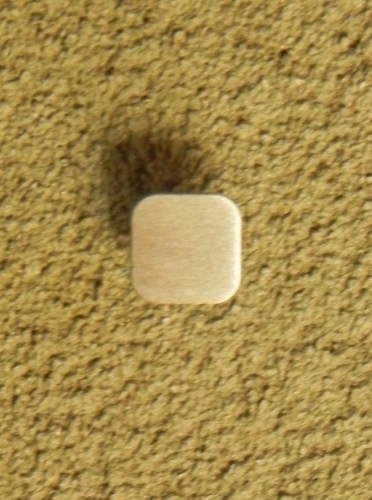 Click here for complete dimensions. 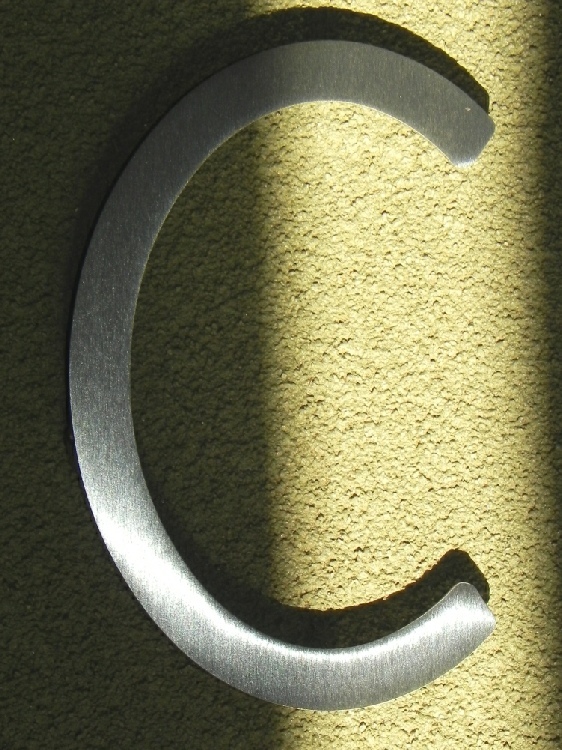 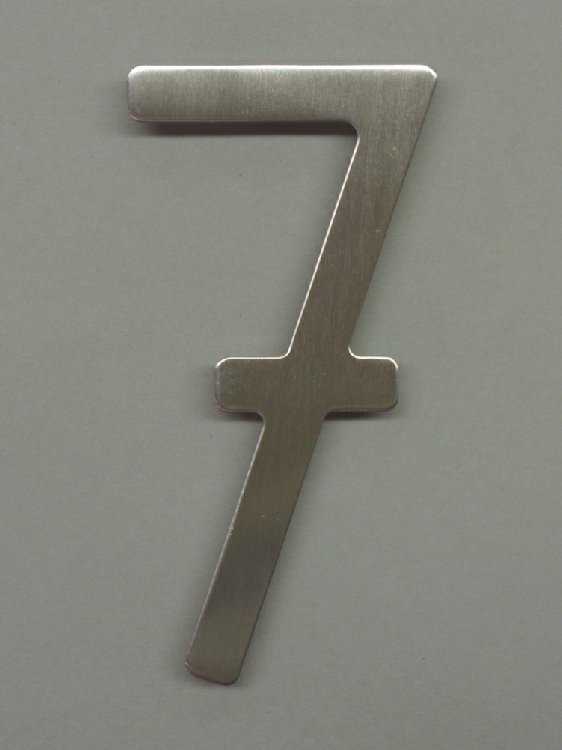 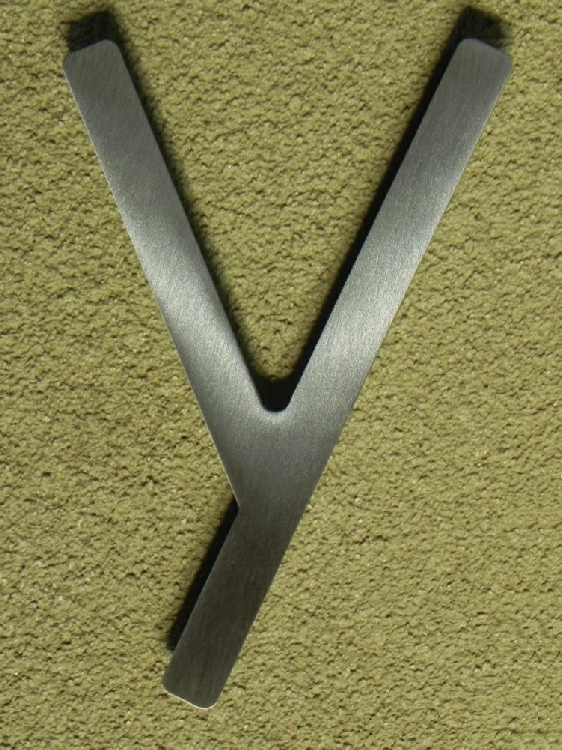 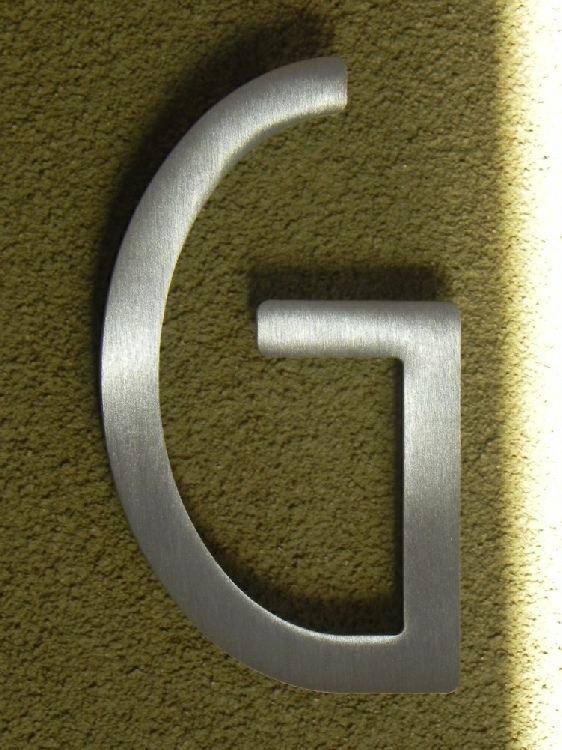 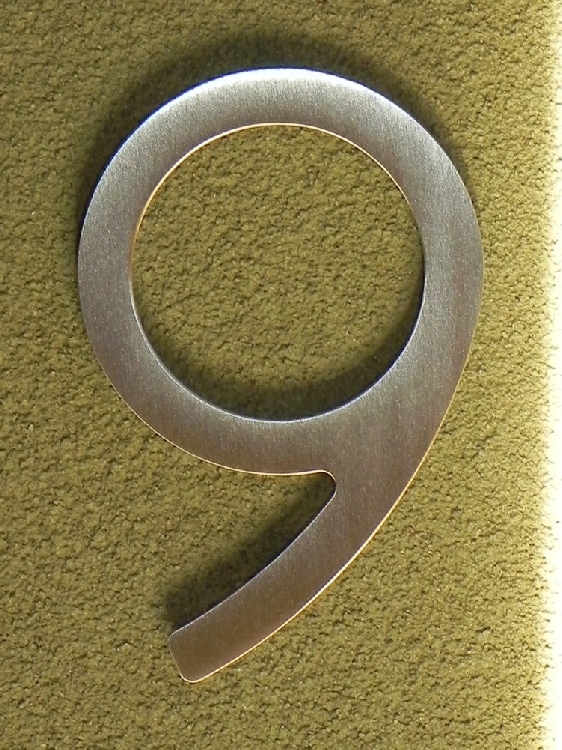 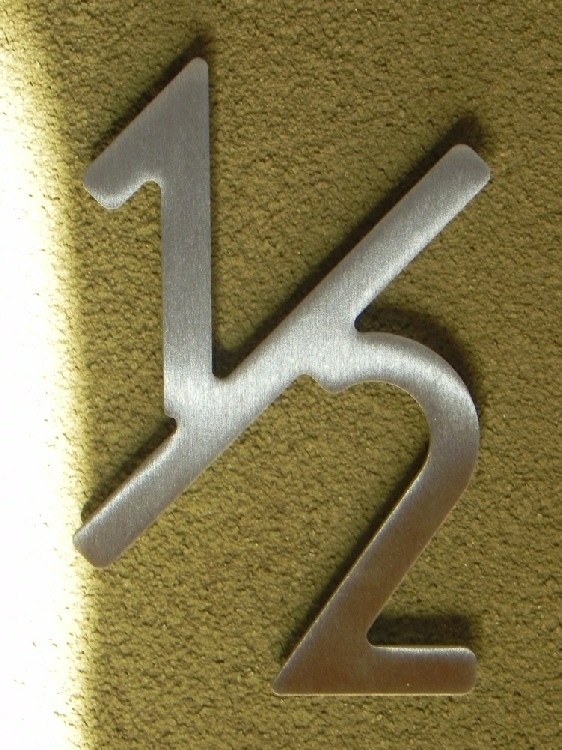 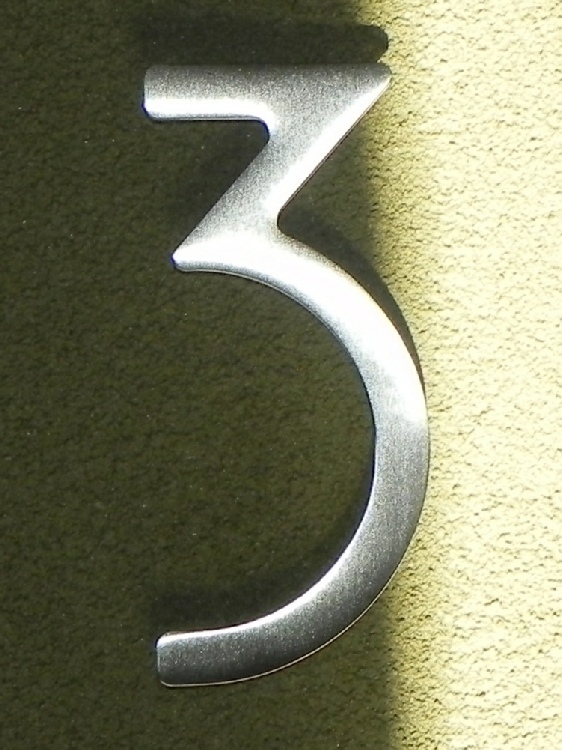 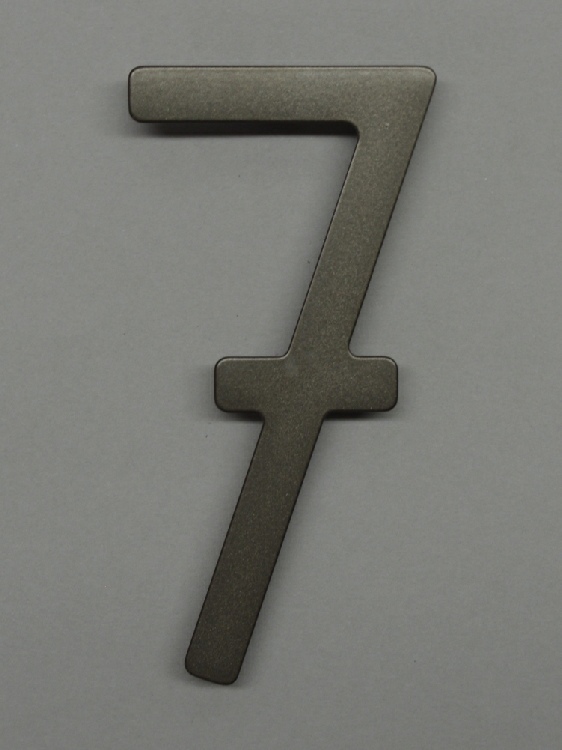 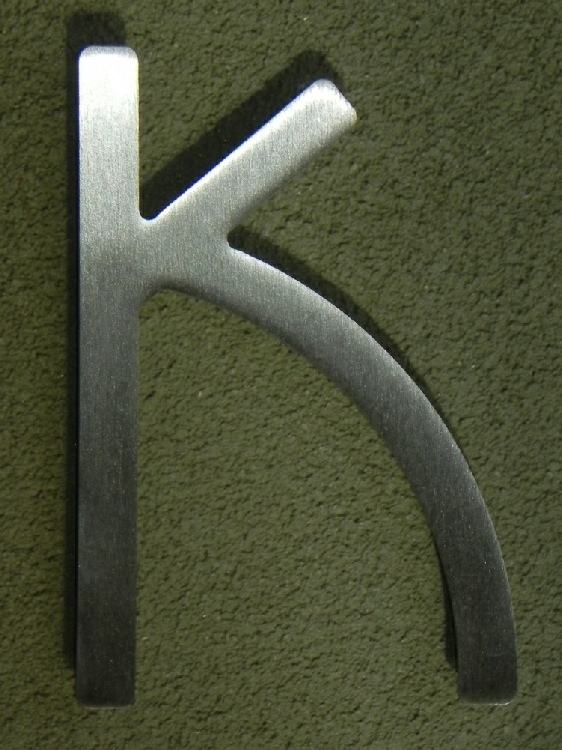 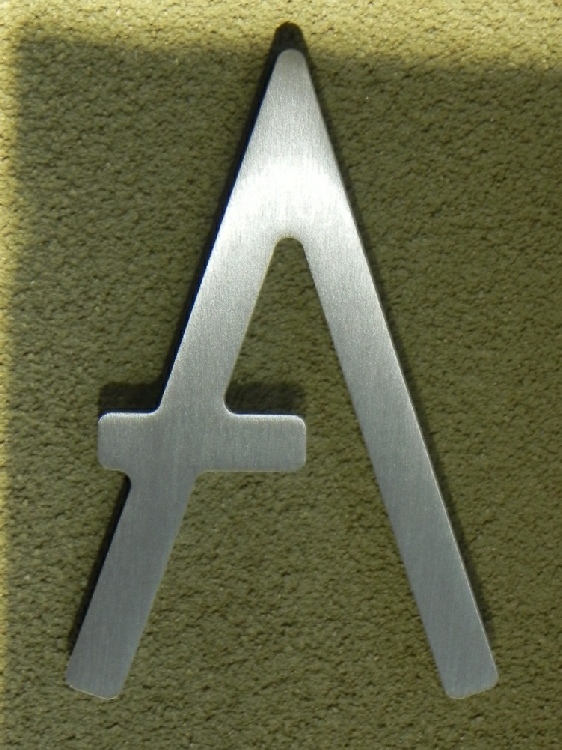 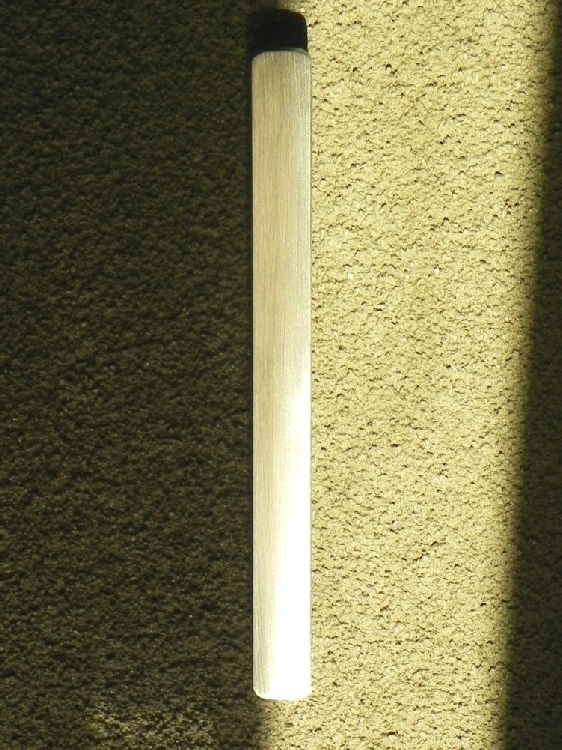 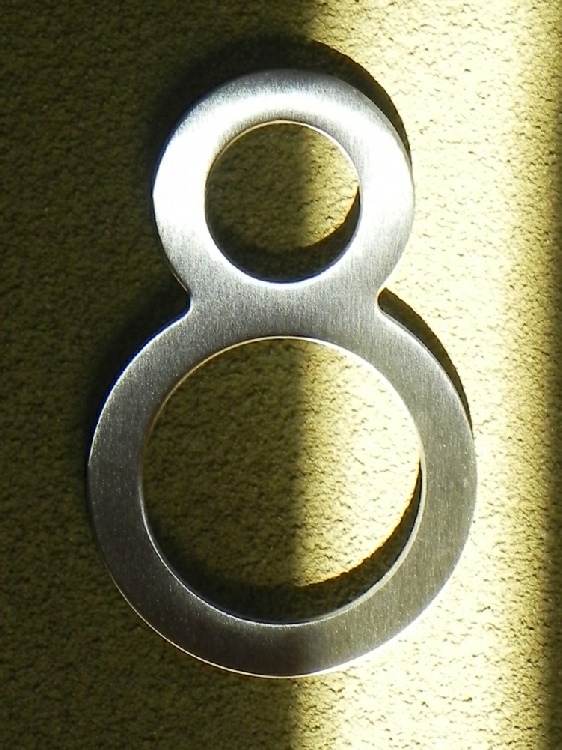 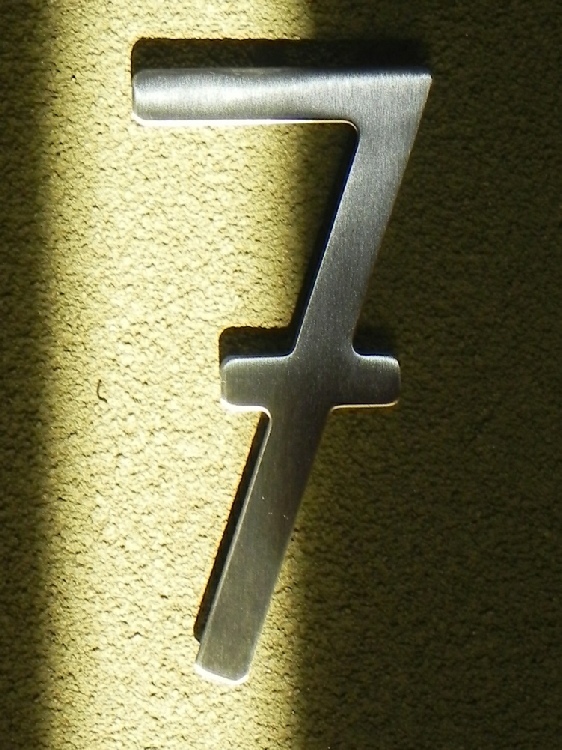 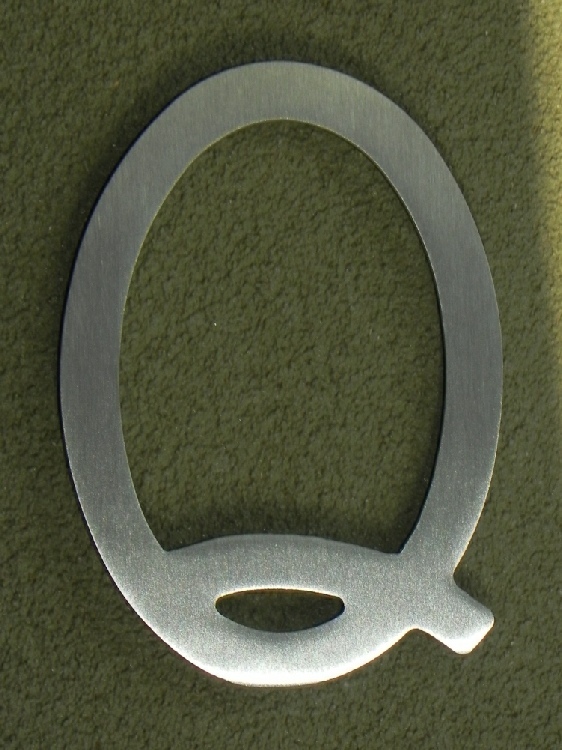 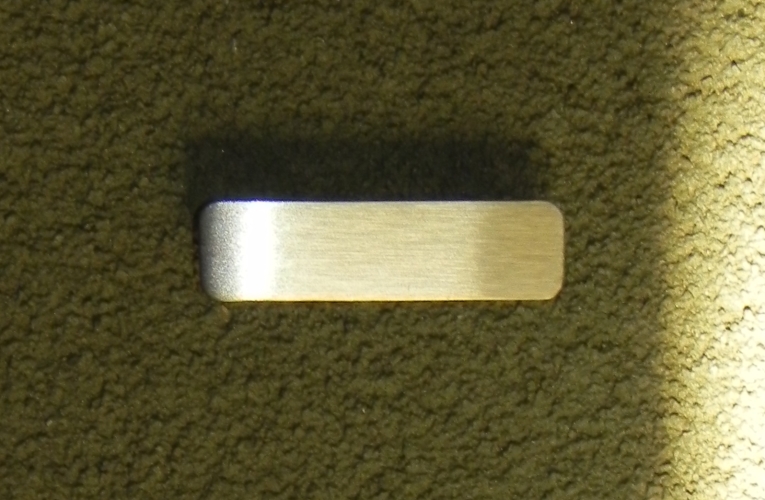 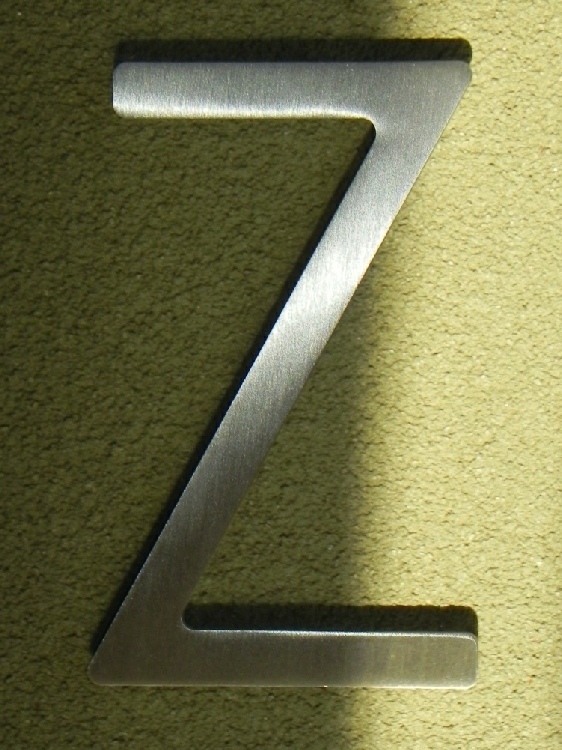 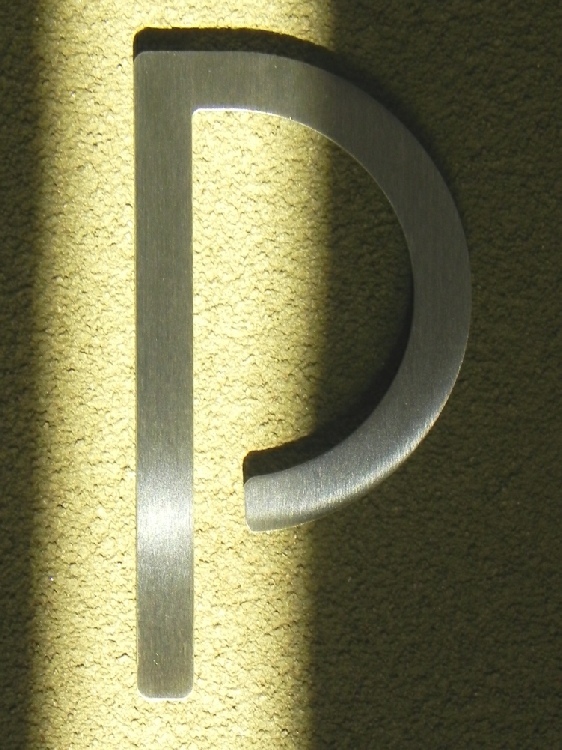 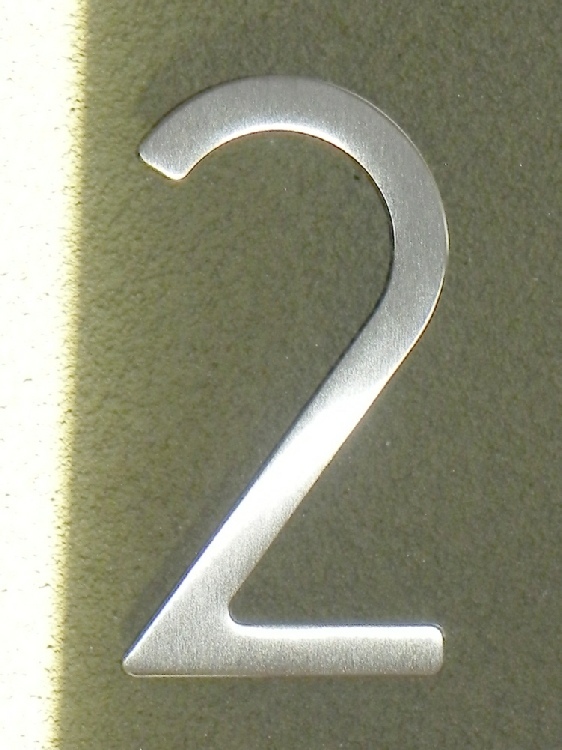 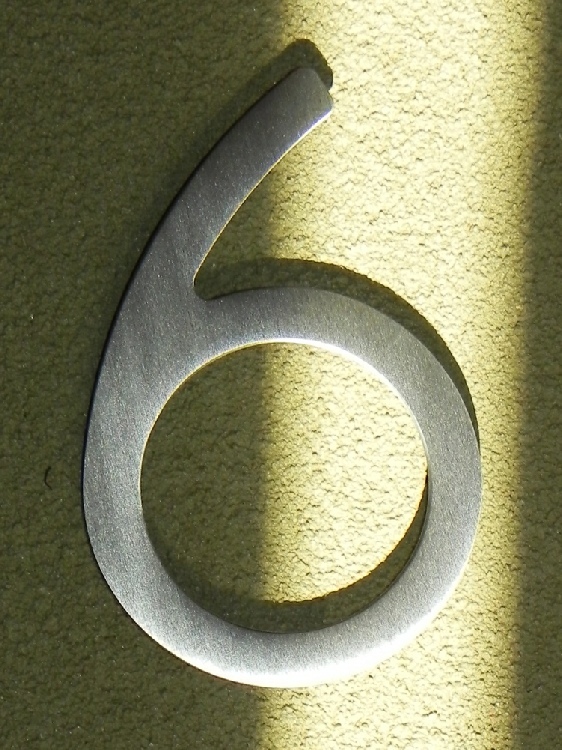 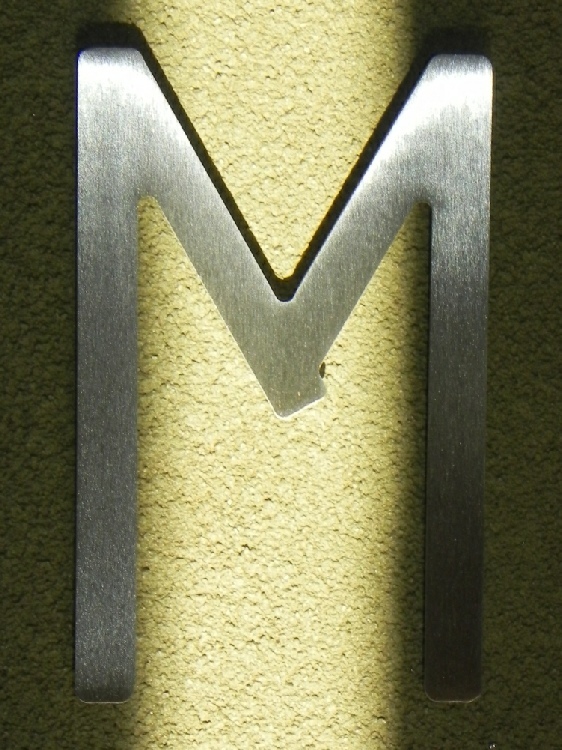 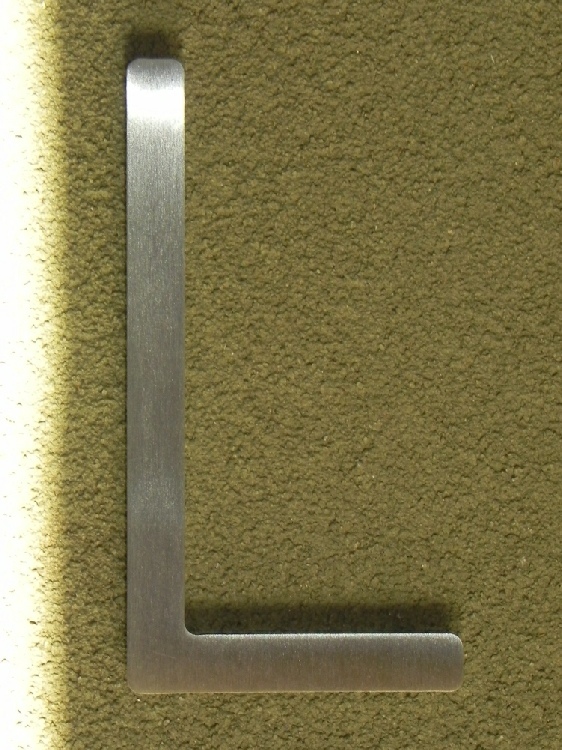 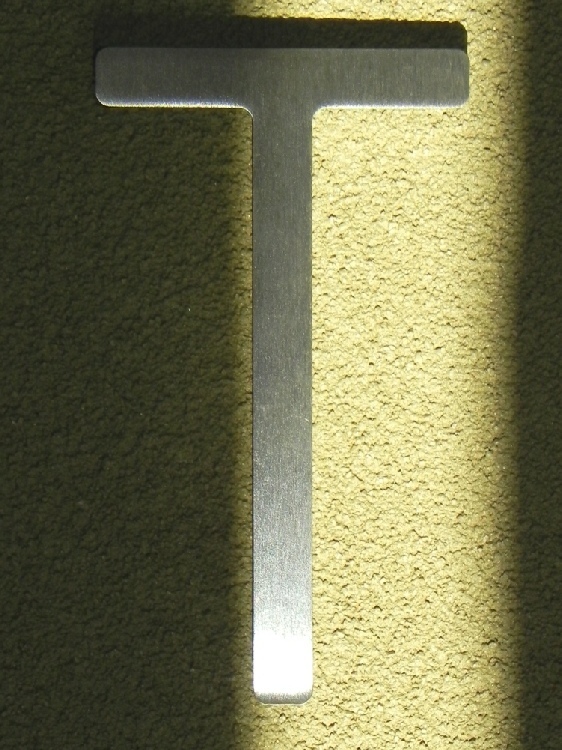 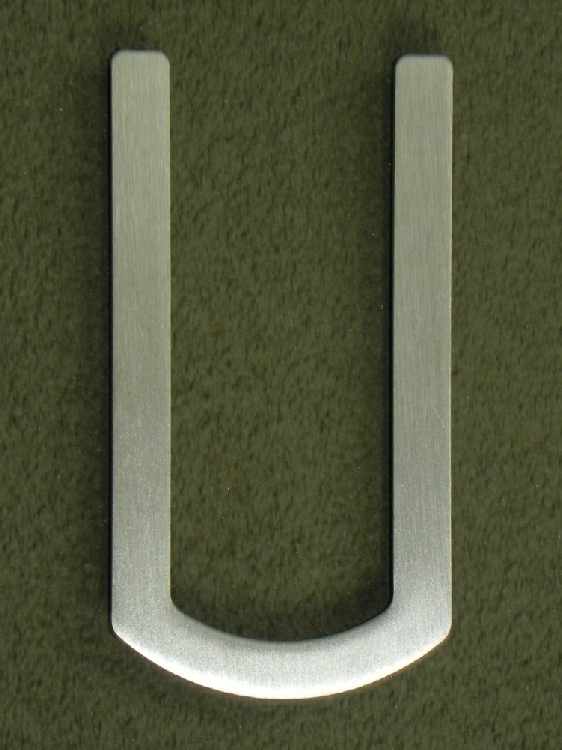 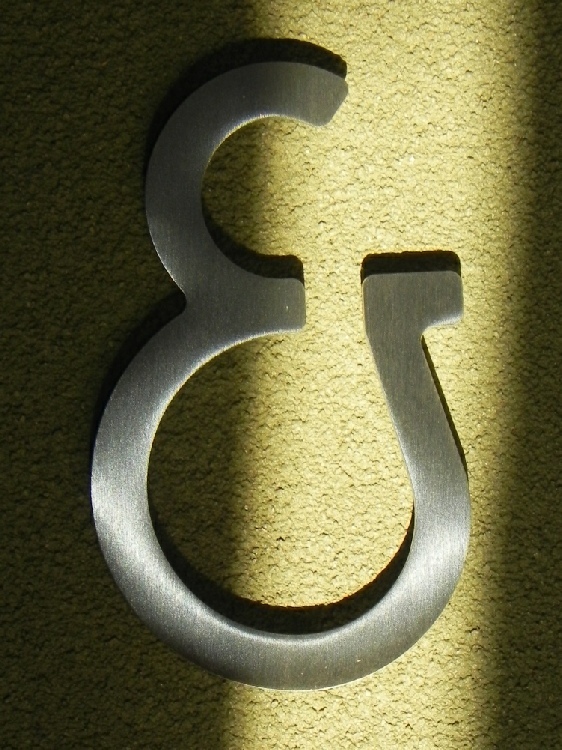 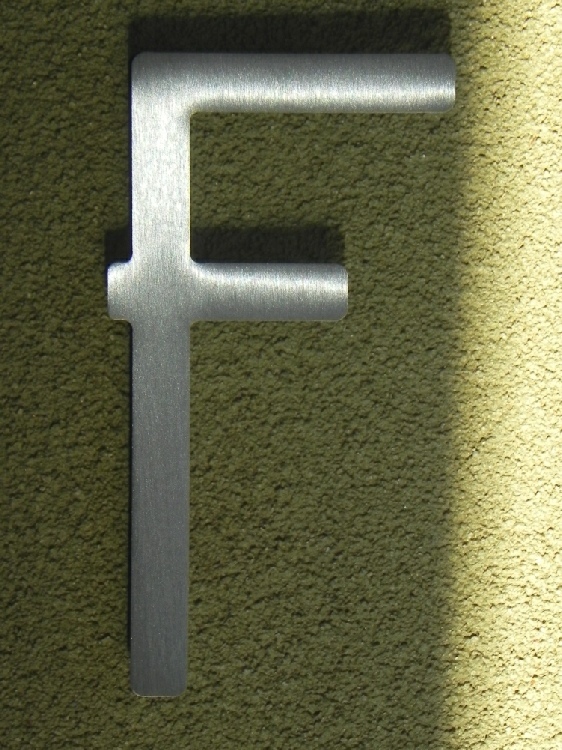 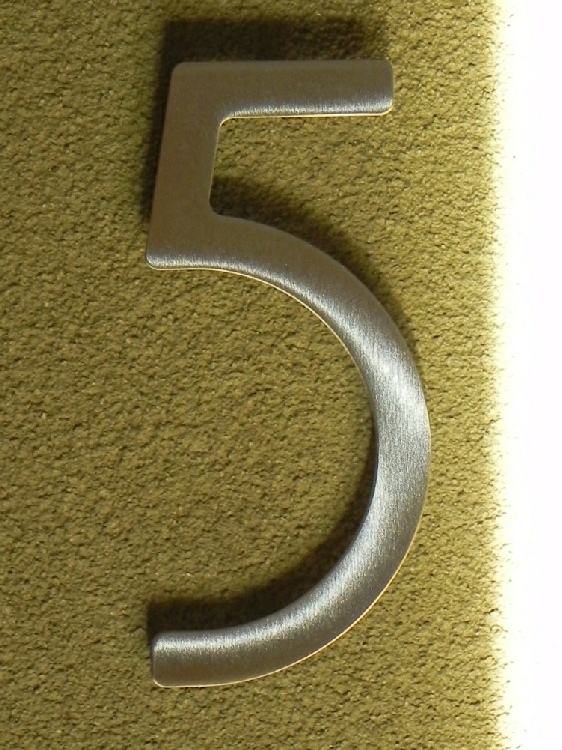 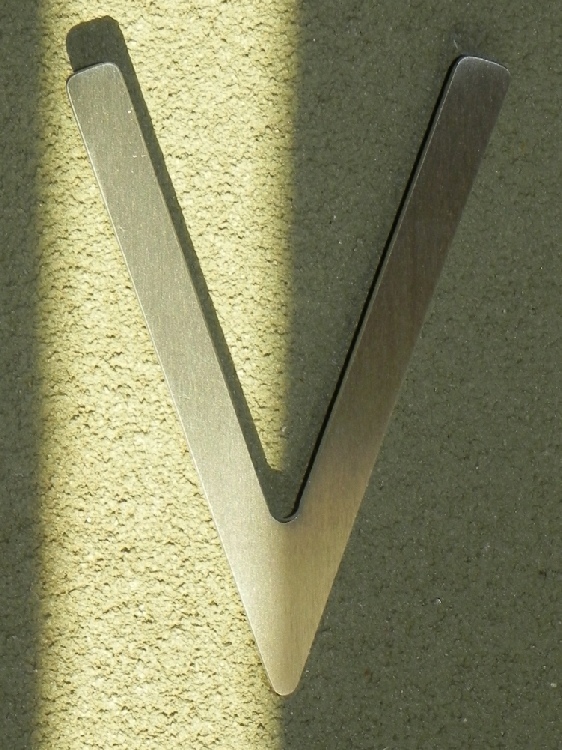 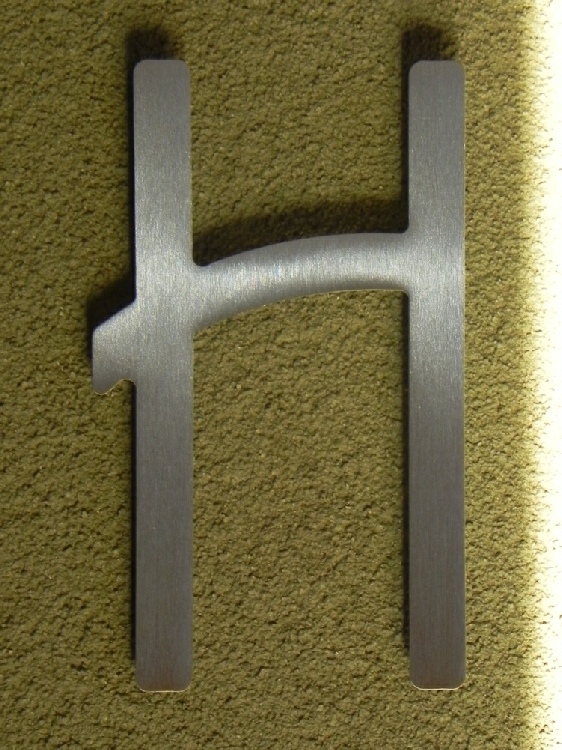 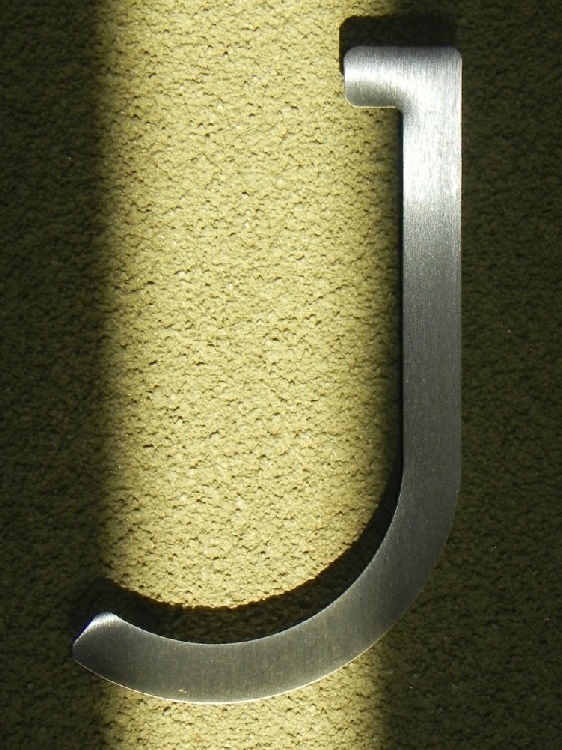 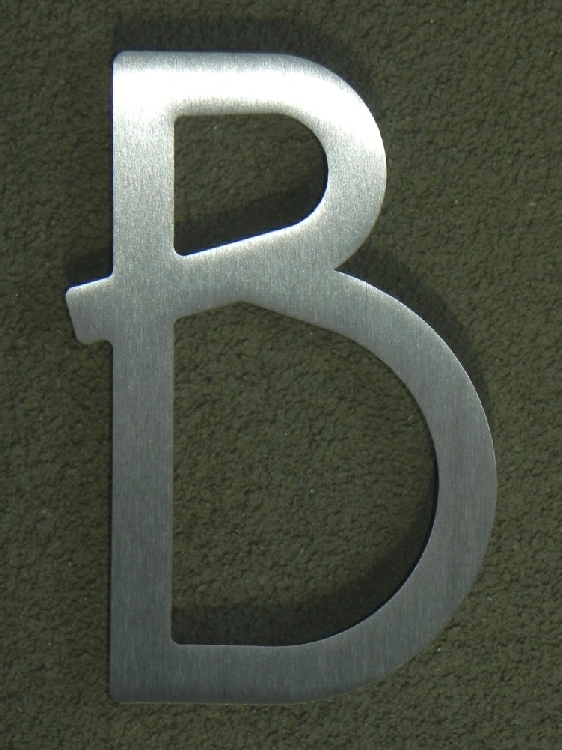 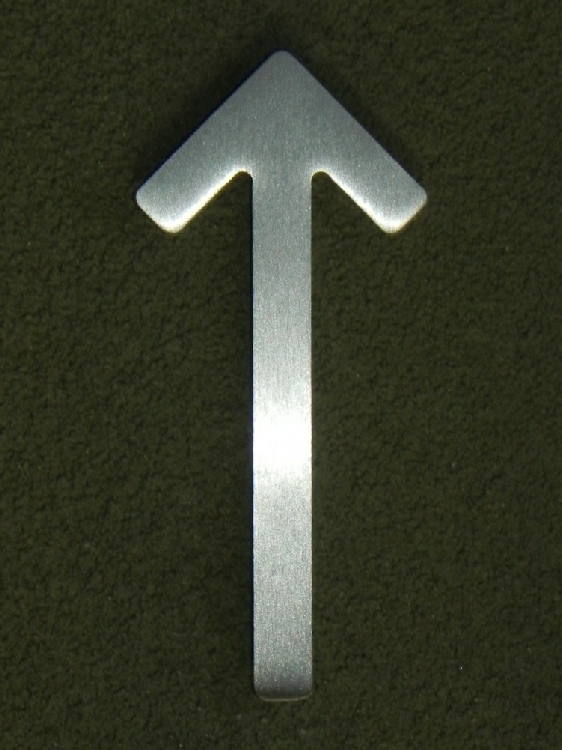 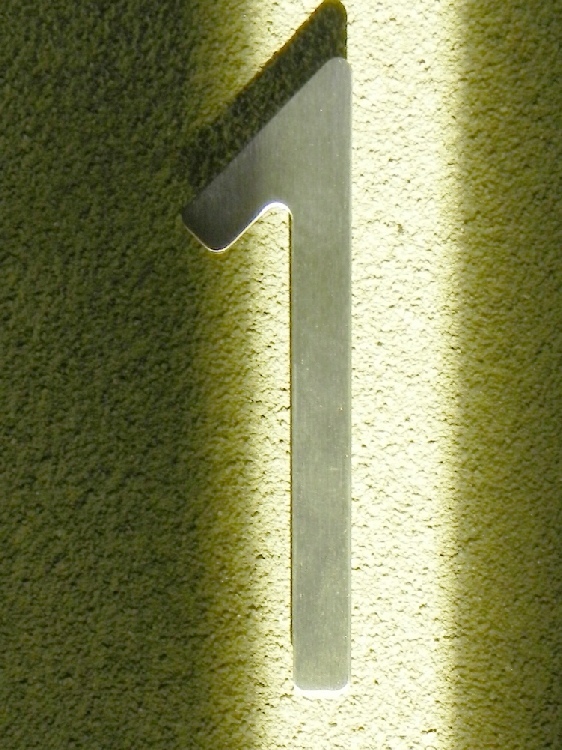 Additional colors are shown below the brushed stainless finish. 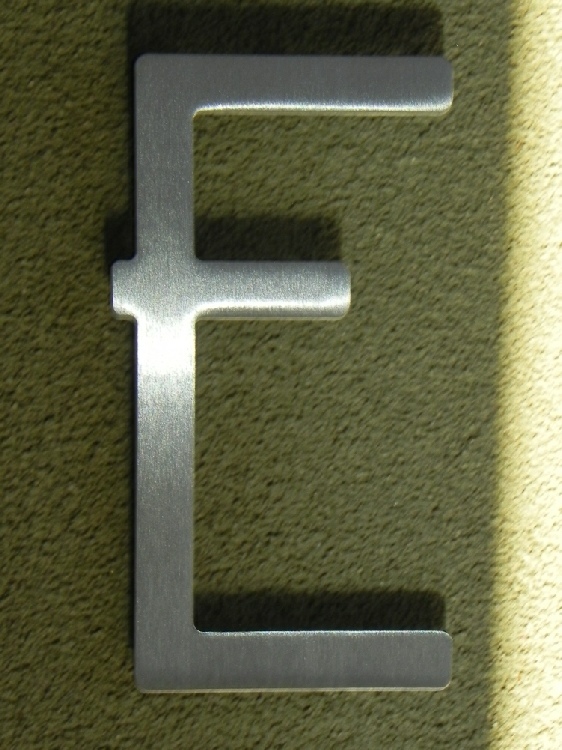 Please call or email if a custom finish is required. All designs by Ginger Finley, owned and copyrighted by houseArt, Inc.
* Ground delivery (1 – 5 business days) within the 48 contiguous states is $10.00 for the first item and free for all additional items purchased on the same order. 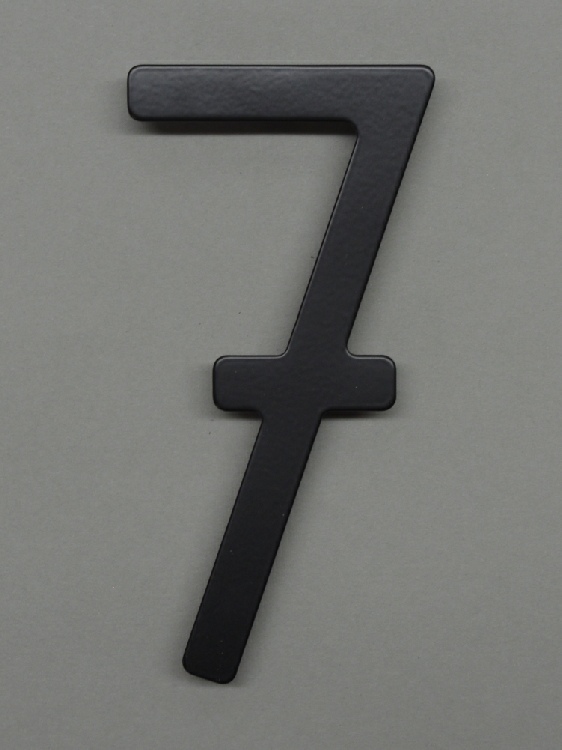 Additional options available at checkout include two-day, overnight, and shipping to Alaska, Hawaii, Puerto Rico, and Canada. 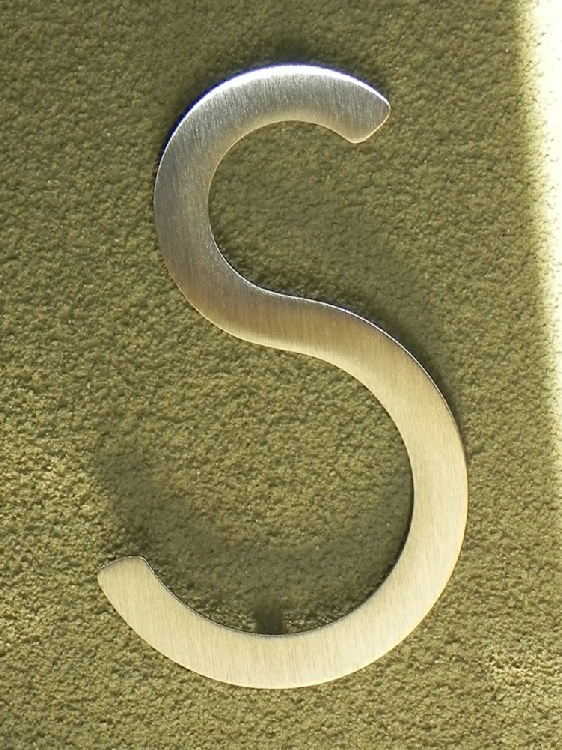 houseArt font characters are finished to order. 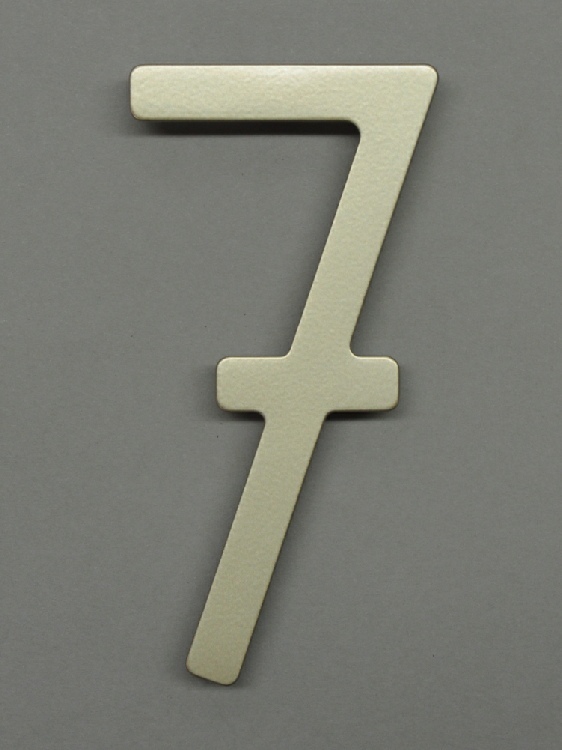 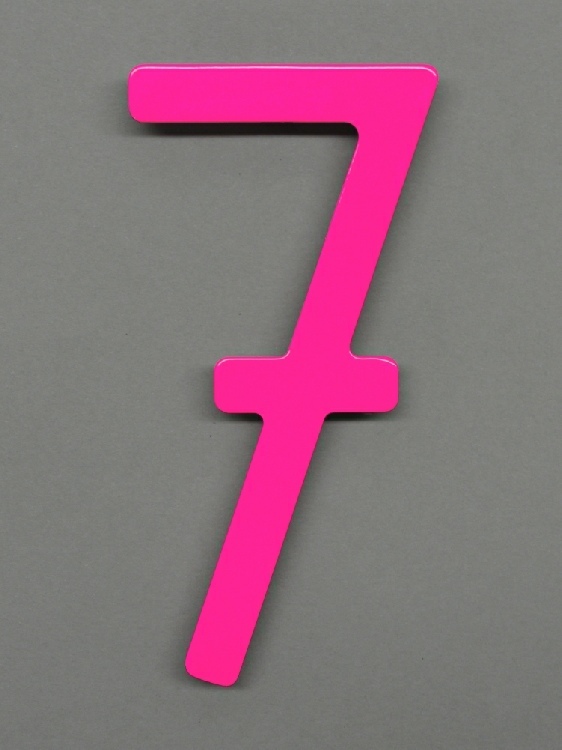 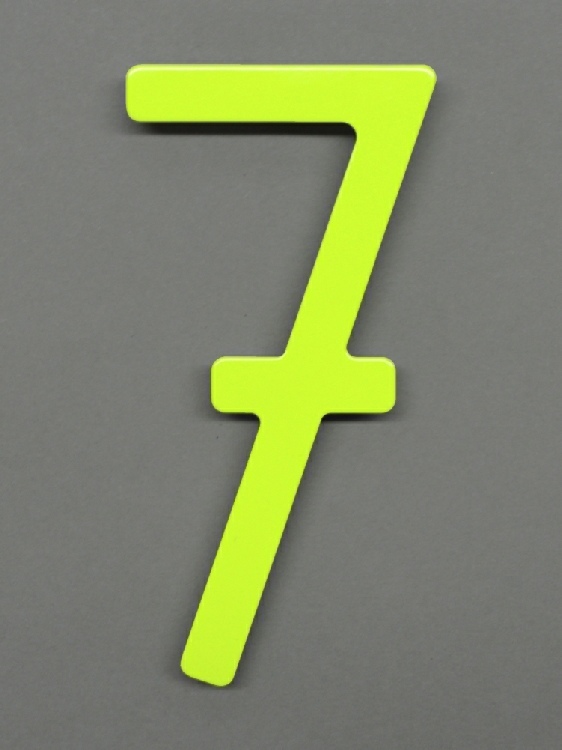 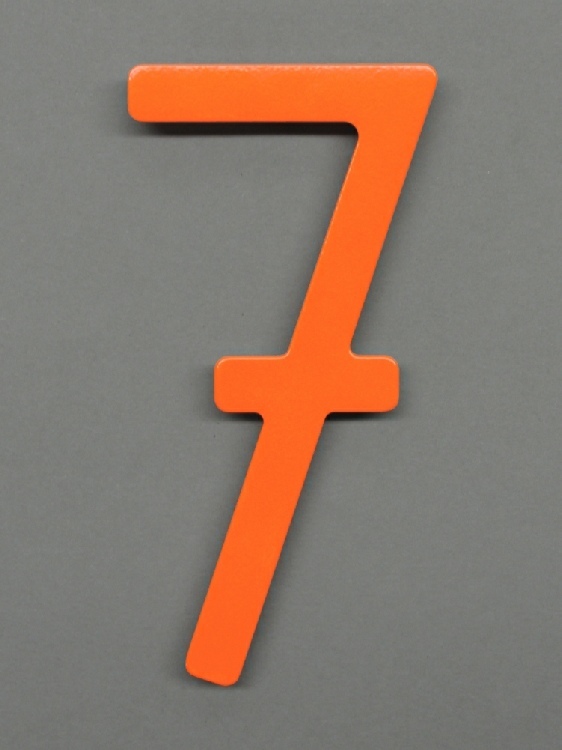 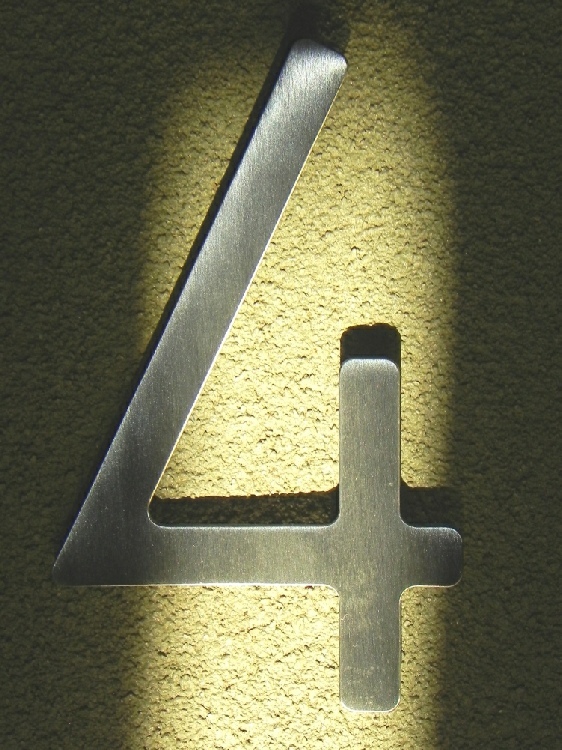 Please allow up to seven business days for finishing prior to shipment. 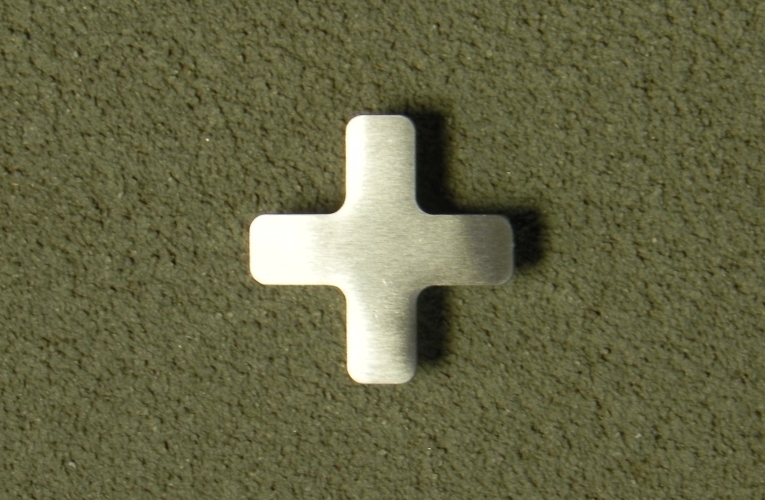 † Mounting hardware provided with standoffs includes threaded spikes which are inserted 1 – 1½ inches into pre-drilled holes in the mounting surface. 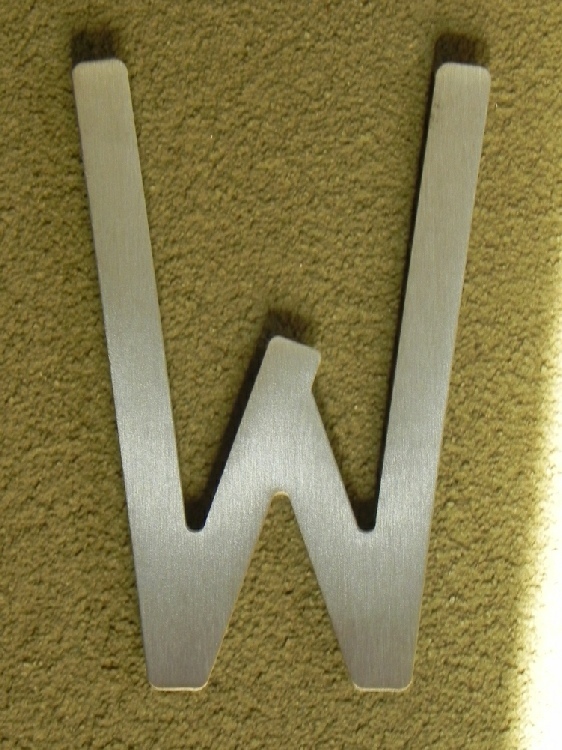 ‡ All installation orders will receive a confirmation email or phone call from houseArt. 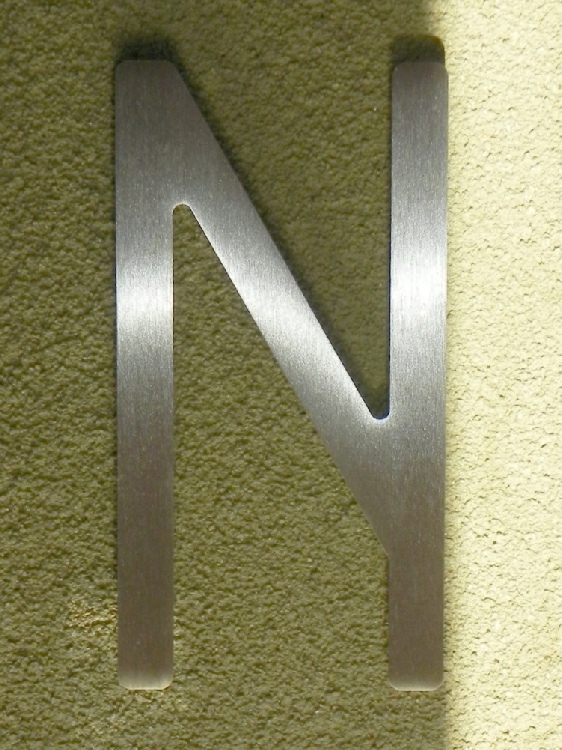 Buying characters for a houseArt mailbox? 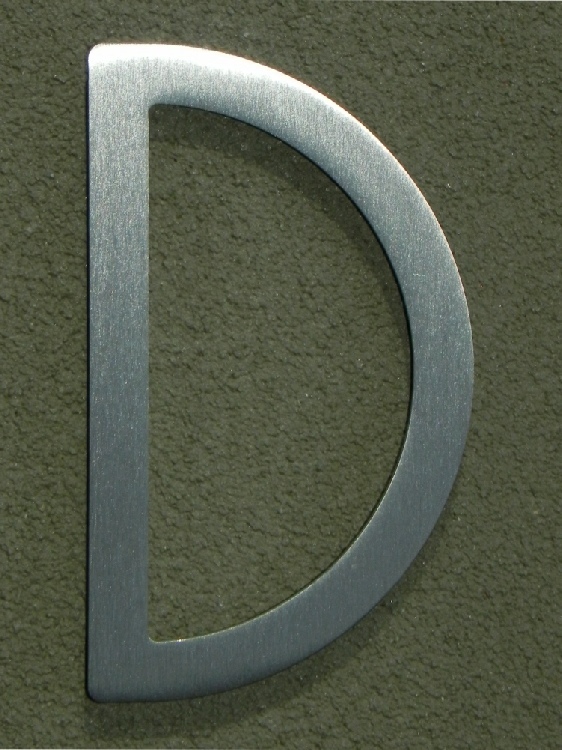 We recommend the five-inch houseArt font or the six-inch bFuller font for the DaVinci mailbox, and the three-inch houseArt font for the Monet. 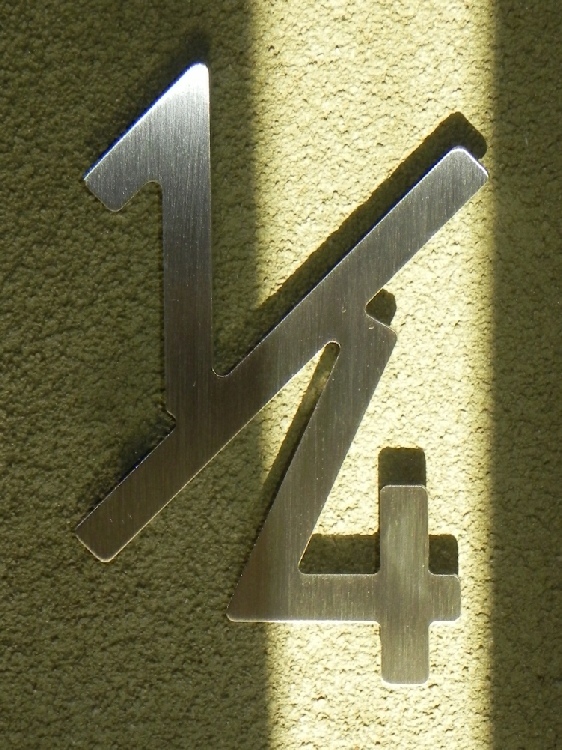 Installation on mailboxes is offered by houseArt.